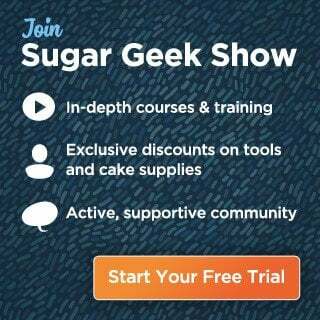 What do (most) brides want in a wedding cake? CHIC. They want it to feel elegant and stylish, up with today’s trends and something you’d see straight off of Pinterest. Sure every once in awhile you’ll run into the bride who has had her heart set on something totally out of the ordinary like rainbow flames or pink camo, which is fine too, but for the most part it’s chic and that’s exactly what this cake is. 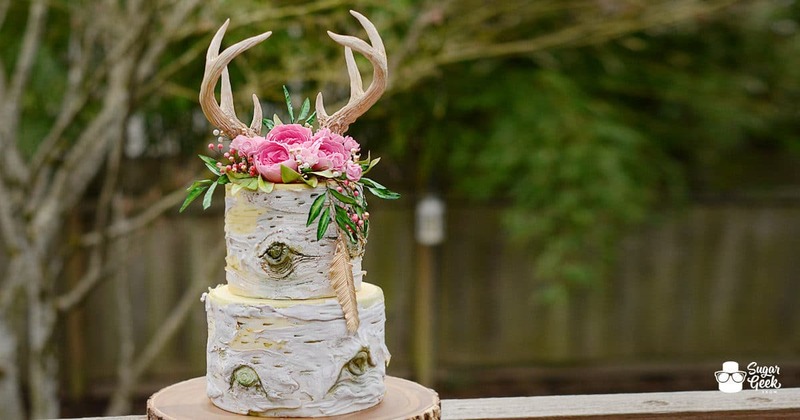 Learn to make the impressive details of this rustic, Boho inspired cake and wow your client and all her guests. 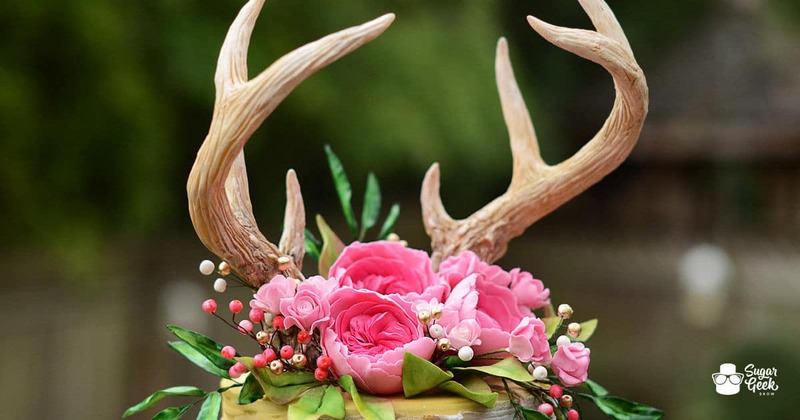 The detail and coloring in the antlers is superb and they are a fresh and unique addition to the rustic trend that is clearly here to stay in the world of wedding cakes. 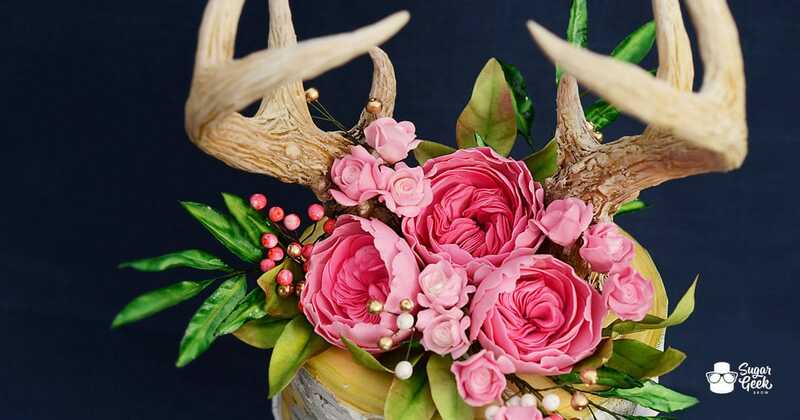 Learn the fastest way Liz has found to create a beautiful Juliet Rose, which by the way I might add is one of the most popular kinds of flowers among weddings. 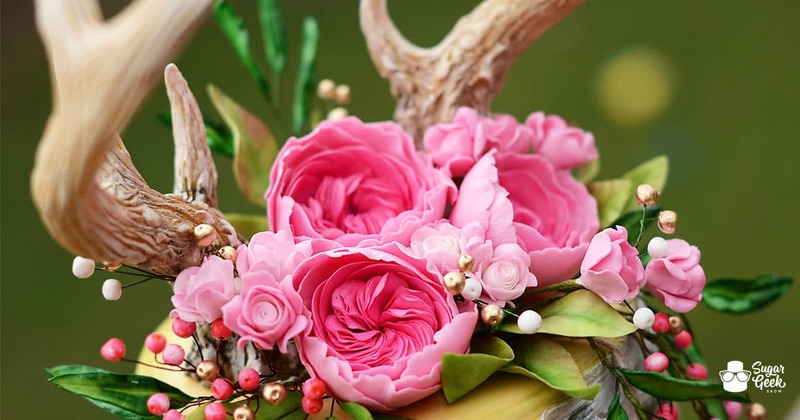 You’ll also learn all of the filler flowers, berries and foliage to go with the Juliet’s to create such a chic floral spray. I love the addition of the golden feathers. They really finish off that Boho feel, and the bark? Look at that bark! 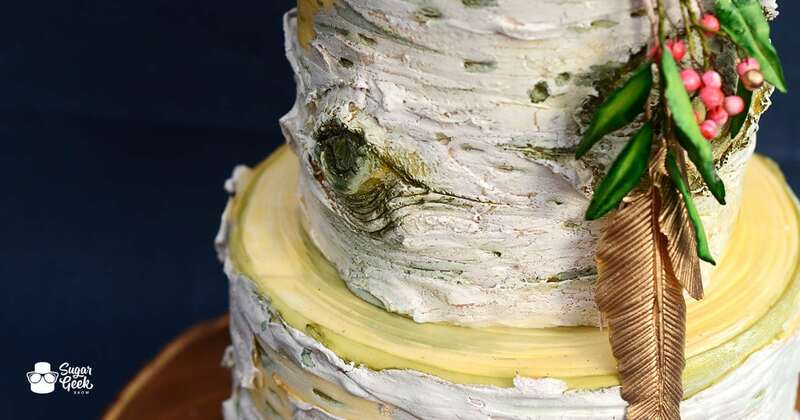 All new techniques to create the most realistic Birch tree cakes possible. Such a lovely design with that sort of understated breathtaking beauty.